Together with nine Fellows from Argentina, Canada and the U.S., I spent nine months as a 2015-16 Knight Science Journalism Fellow in Cambridge on the U.S. East Coast. 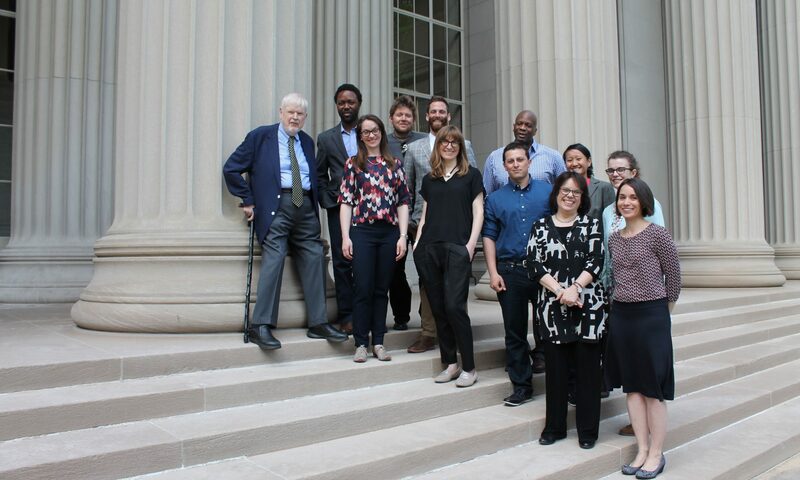 Above our graduation day, with (left to right): KSJ Founding Director Victor McElheny, Ashley Smart, Courtney Humphries, Christopher Ketcham, Zack Colman, Sasha Chapman, Federico Kukso, Rod McCullom, Alicia Chang, KSJ Director Deborah Blum, KSJ Associate Editor Jane Roberts, and me. Betsy Mason took the picture. One of the highlights: Chatting with Noam Chomsky about science, politics, climate change and journalism. Any tips for journalists, one of us asked. „Just tell the truth,“ Chomsky replied.